Looking for brunch ideas? Almost every weekend my wife and I host Sunday brunch in our home. The tradition has become richer and richer with time. The focus of the event is spending time with friends, sharing songs and conversation. As the tradition has gained momentum, so has the number of guests. Having another person or two over for cocktails and a little something to eat is easy enough. It’s even fun to share in the mixing and cooking with your guests. When you find yourself welcoming over a dozen friends, it’s time to come up with new brunch ideas. Pair this egg bake with the best bloody Mary recipe and you’ve got yourself a nice little Sunday! We wanted to be able to give our friends our full attention, instead of spending all of our time cooking and mixing bloody Mary’s. After trying several brunch ideas, we finally found the perfect solution. 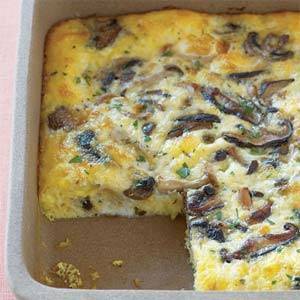 This egg bake recipe is simple and it’s delicious. What people have come to expect at our house is a good bloody and good music. It’s not a good idea to spend too much time with only drink and song. Needing sustenance, brunch guests will appreciate Erica’s Famous Egg Bake Recipe. Heat Oven to 400 degrees F. In a large bowl, mix 8 fresh organic eggs, 6oz grated cheddar cheese, 3oz fresh organic mushrooms, 2oz skim milk, 3oz can of green chilies, 1/2tsp cracked pepper, 2 Tbsp fresh basil, (chopped) and 1/4 tsp salt. Spray the bottom of a glass baking dish with non-stick cooking oil. Line the bottom of pan with whole grain bread. Pour mixture evenly over bread and bake for 20 or until firm. Top with grated Parmesan cheese Be sure to serve it with one of the many bloody Mary recipes featured here on my Big Fat Bloody Mary. I recommend making a large batch in the morning before guests arrive. That way you can enjoy the most time with your guests. 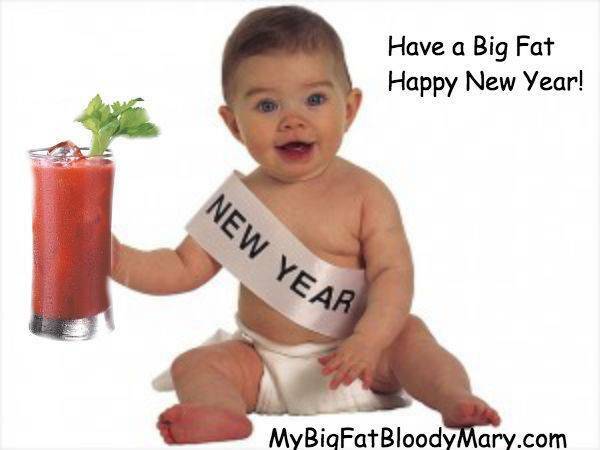 For a basic overview of how to make a bloody Mary, be sure to check out our YouTube Video: How to make a Bloody Mary -Greg from My Big Fat Bloody Mary shows you how to make the perfect cocktail every time.